I don’t have a car, so finding food delivery near me is an absolute must to prevent starvation. For this reason I’ve scoured the Internet and to find the best food delivery apps that can get me grub when I want it, at a discount! And because I’ve ordered from pretty much all the food delivery sites and apps on this list multiple times, I’ve had the chance to contemplate whether or not food delivery is worth it. Are Food Delivery Apps? Worth It? Needless to say, you will be paying a delivery fee. So is food delivery even worth it? In my opinion, this depends on how far away you are from the restaurant you want to order from. If it’s going to take you 30 minutes to drive there and another 30 minutes to drive back, that’s an hour of your time. Paying a $5 delivery fee is definitely worth it in this case since your time is likely worth more than $5 per hour. But obviously if you only live 2 minutes from your restaurant of choice, delivery wouldn’t be worth it in most cases. Which Are the Best Food Delivery Apps? 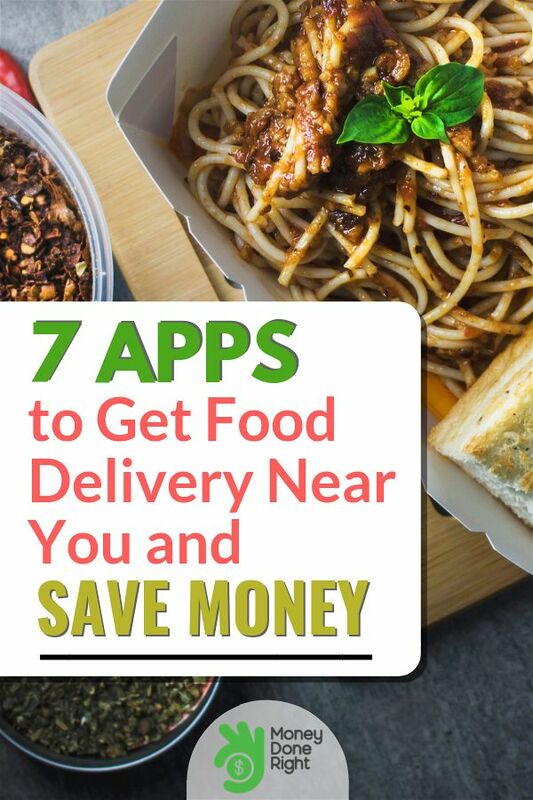 Here are my top food delivery apps. I use them all at least a couple times a month, and I rotate them to make sure I save the most money. Uber Eats is Uber’s food delivery platform. So basically, getting great food from your favorite local restaurants is as easy as requesting a ride. GrubHub seems to be in most markets across the country, more so even than UberEats. One thing we like about GrubHub is that you can split the bill in the app with Venmo in case you and your date are going Dutch! Another cool thing GrubHub is supporting is RestaurantHER, an initiative dedicated to supporting women-led restaurants nationwide. GrubHub has donated $1 million to this cause. Similar to GrubHub, DoorDash also has a heart for philanthropy through its Project DASH (DoorDash Acts for Sustainability and Hunger). Project DASH is doing its part to ensure that the literally millions of pounds of food that restaurants throw away each year is put to good use. Since Doordash, like all food delivery companies, has a rather sophisticated logistics system that most restaurants lack, it is helping to bring surplus restaurant food to local food banks to feed the hungry. For this reason, I always feel good when I order through Doordash. Postmates is interesting because it doesn’t just delivery food from restaurants. This is in line with Postmates’ larger mission, which is to transform the way goods move around cities by enabling anyone to have anything delivered on-demand. Postmates also has an interesting monthly subscription plan called Postmates Unlimited. 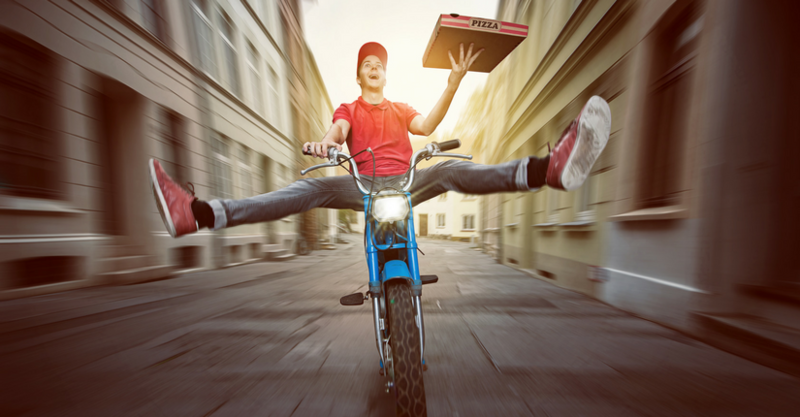 With Postmates Unlimited, for $10 per month, you get free delivery on all orders over $20. This is a great deal if you have larger delivery orders every month. Delivery.com is an oldie but a goodie. If you’re into rewards, Delivery.com will give you 20 Delivery Points for every $1 spent through its platform. You can cash in Delivery Points for awesome rewards. Eat24 is awesome because every Friday you get a coupon giving you $2 off your weekend delivery order. For this reason, Eat24 is my go-to weekend food delivery app. If you have Amazon Prime, you should check out Amazon Restaurants. If you’re willing to wait 2 hours, you will pay absolutely on delivery fee! Our tip: just plan in advance and get deliveries for free!